Victoria – is a wealth of diverse regional areas and attractions, from extensive coastline and untouched beaches to national parks, forests, lakes and mountains. Whether you adore the arts or love the great outdoors, Victoria has something for you. 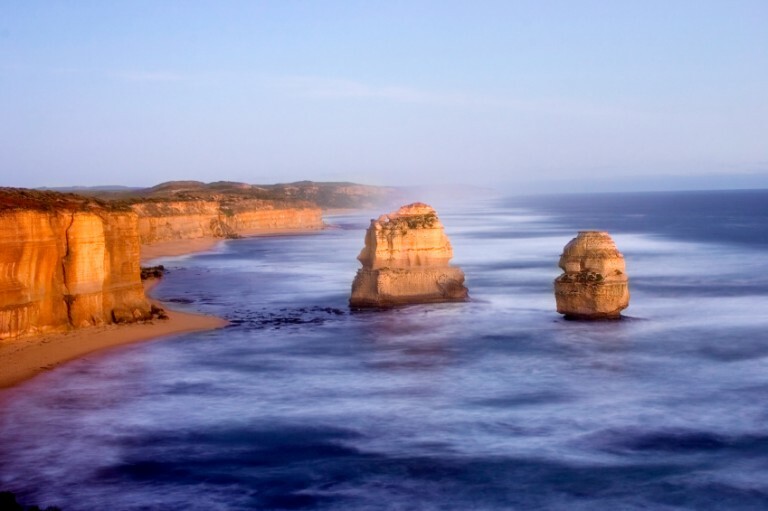 Discover the trendy cafes and bars of Melbourne’s narrow laneways and drive the Great Ocean Road. Visit the wineries of the Yarra Valley and take a paddle-steamer down the Murray. Drive along the Mornington Peninsula and discover rolling hills of olive groves and vineyards. Say hi to a penguin on Phillip Island, Bushwalk Gippsland’s coastal wilderness, hit the High Country slopes or explore the grand architecture of a Goldfields town.